Join us at 7:00am on October 20, 2019 for the 5th BCS Oktoberfest Half Marathon & 10K! What if you could combine two amazing things you love….crossing a race finish line and Texas A&M football?! Guess what…you can! The BCS Octoberfest Half Marathon and 10K will BOTH finish inside Kyle Field! Packet pick up will be at the Expo only, on 10/19 from 9am-8pm. Expo location TBD. Why should you run this race? For one, 99% of our runners have said the organization of our races is good or excellent and 96% have said the same about the value of those races. In fact, our other "big" race (the Baylor Scott & White BCS Marathon + Half Marathon) has been voted the best marathon in Texas for 6 years running. Those numbers don't lie. 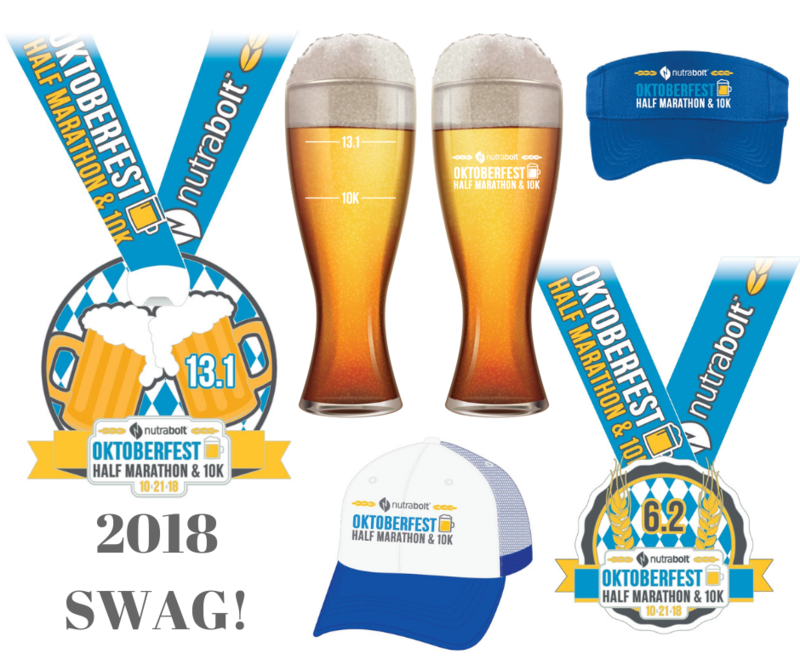 Post race amenities will have an Oktoberfest flair with up to 10 local craft beers and the kind of post race feast our runners have come to expect. We will also have music and plenty of space to lay out and rest, so plan to stay awhile. Aid stations will be every 1.5 miles along the route and will include water and gatorade. The course closes on a rolling schedule based on a 16:00 minute per mile pace for both the Half Marathon and 10K. The time limit for completing the Half Marathon is 3.5 hours. Dogs, Strollers, and Bicycles are NOT allowed anywhere on the course!!! Both Half Marathon AND 10K runners will be handed a custom finisher’s medal when they cross the finish line! Finshers of both distances will receive a high-end, super soft and comfortable finisher’s shirt. This is the kind of finisher’s shirt you’re going to be able to wear every day and not just train in. All finishers will also receive a custom beer stein at the finish line. You will use this beer stein when you choose between up to 10(!) different craft beers we will have on site – and then you’ll get to take it home with you. Half Marathon runners will also be given a custom BCS Oktoberfest Half Marathon Surprise Swag!! Check out some of last year's swag!